1. Save more than 50% cost every year. 2. Get 24- hours best service from us. 4. Short delivery time (usually in 7 days). 5. Different payment method available: T/T,Paypal,Moneygram,Westunion,L/C Etc. 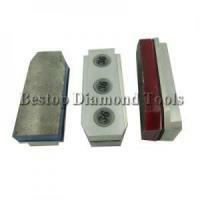 What is the difference when compare Magnesite Fickert with Diamond Blocks? Some factory customers complained that they invest a lot money in granite grinding tools, but don't get good efficiency result. If so, you’d better put some Diamond Grinding Fickertson first few steps to calibrate and level your slabs or tiles, comparing the unit price, Diamond Grinding Blocks would surely much higher than magnesite fickert, but you are guarantee to be refunded back with much less production cost in the long term production. Save 50% cost every year, it is absolutely not a problem! 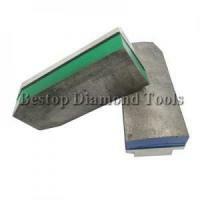 What to consider when buying Diamond Fickert Abrasive? 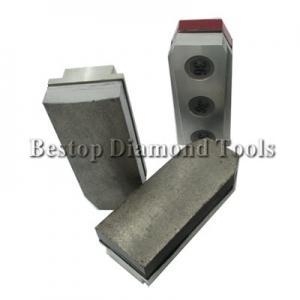 With a variety of Grinding Blocks in the market, including L140 Diamond Fickerts and L170 Diamond Fickerts, it can be a difficult to choose the right one. The most important option is the sharpness and lifespan of the Diamond Fickert. 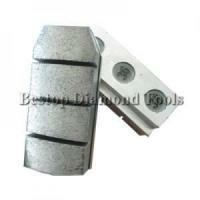 Buy sharp and long life diamond grinding tools , that will improve your factory production, so it will save your production cost. And those are exactly two main keys when we design and produce our own Diamond Blocks. 1. 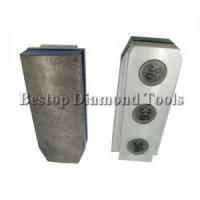 Saving electricity: can be used to grind stone with less power because of its sharpness. 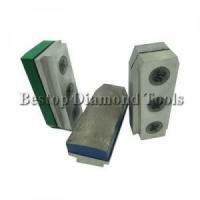 This can reduce the stress of grind head, thereby reduce machine' abrasion and stone's dilapidation. 2. High efficiency: It can raise the transmission speed of conveyer belt; Thereby improve the efficiency for its sharpness and abrasion resistance. 3. High glossiness: can improve stone glossiness more than 10 degree. For adopting advanced technology, diamond fickert can totally avoid the unstable of brick quality that caused by magnesia activation reduction and conservation condition's change during the production. 4. High quality: With more than 10 year’s research, our metal diamond fickerts are very high quality, hot sell in Brazil, European and other many markets, used for rough grinding granite slabs. (often replace the magnesite 16# and 24#). Need help when buying the diamond fickert for your granite grinding machine? 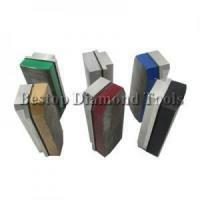 What the Technical Parameters of Diamond Abrasive Fickerts You Should Care About? We are professional diamond fickert manufacturer and supplier in China. L140mm and L170mm are the two main size of length used in our diamond metal fickert. And height is usually H15mm. The life of our A quality diamond metal fickert is more than 25000m2 for grits 36#,40#,60#, and 25000m2-50000m2 for grits 80#, 120#, 180#, very highest quality for the Brazil and European Market, suitable for hundreds of granite stones grinding. 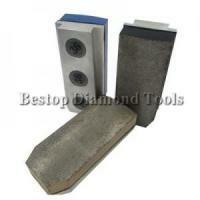 How to order our diamond granite abrasives? 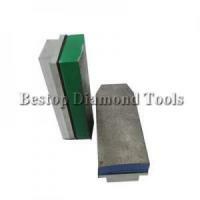 BESTOP Diamond Tools Company is a professional diamond tools manufacturer and wholesaler, which export various of diamond tools to many countries. In Bestop Company, we set out to create the world’s most versatile e-commerce destination. In Bestop Company, there is something for everyone at a price you won’t believe. 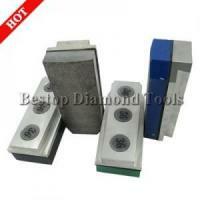 In Bestop Company, buyers will find the best quality for diamond tools.